PT Bank Tabungan Pensiunan Nasional Tbk - BTPN or referred to as "Bank BTPN" is a reputable privately-owned bank in Indonesia that focuses on serving and empowering low-income communities ; pensioners, micro, small and medium enterprises, and mass market. The Bank's main business focus rests on six business pillars: pension business (BTPN Purna Bakti), micro entrepreneurs (BTPN Mitra Usaha), small and medium business segment (BTPN Mitra Bisnis), funding business (BTPN Sinaya), lower-income segment (BTPN Wow! ), and urban tech-savvy customers (Jenius). Bank BTPN was first established in 1958 as Bank Pegawai Pensiunan Militer (BAPEMIL) with main business to served retired military personnel. In 1986, BAPEMIL was officially organised under the name of Bank Tabungan Pensiunan Nasional. Later in 2008, the Bank has been listed in Indonesia Stock Exchange with stock code of “BTPN”. As of period ended 31 December 2016, Sumitomo Mitsui Banking Corporation holds 40.00% ownership of the Company’s shares. 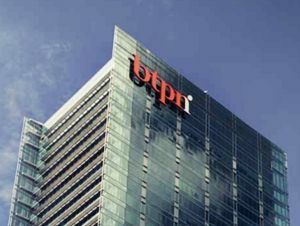 Other remaining shares in Bank BTPN was owned by Summit Global Capital Management B.V (20.00%), TPG Nusantara S.a.r.l (8.38 %), and public (31.62%). Based in Jakarta, Bank BTPN has 348 BTPN Mitra Usaha Rakyat Branches, 66 BTPN Sinaya branches. In the business year of 2016, Bank BTPN was able to achieve a better performance compared to 2015. According to PT Bank Tabungan Pensiunan Nasional Tbk Annual Report 2016 as cited by JobsCDC.com, Bank BTPN registered total assets of Rp 91,371.38 billion in 2016 or an 12.7% increase from Rp 81,039.66 billion in 2015. Bank BTPN managed to record total net profit of Rp 1,875.84 billion in 2016, an increase of 7% from the previous year of Rp 1,752.61 billion. A recognized university degree in any discipline, with GPA > 3.00 (scale of 4.00). Involved actively in both organizations and community work. A sense of mission and the drive to make it happen. Good command of spoken and written in English. JobsCDC.com now available on android device. Download now on Google Play here. Please be aware of recruitment fraud. The entire stage of this selection process is free of charge. PT Bank Tabungan Pensiunan Nasional Tbk - Corporate Acceleration Program BTPN July 2017 will never ask for fees or upfront payments for any purposes during the recruitment process such as transportation and accommodation.